Two women involved in the assassination of Kim Jong-nam are to be charged with murder on March 1, Malaysia’s prosecutor says. Attorney General Mohamed Apandi Ali said the Indonesian and Vietnamese suspects would be formally charged and could face death if convicted. They allegedly smeared a deadly chemical over Kim Jong-nam’s face at a Malaysia airport earlier this month. The women have said they thought they were taking part in a TV prank. Mohamed Apandi Ali said no decision had yet been taken on whether to charge a North Korean man, Ri Jong-chol, who is also being held over the killing. Doan Thi Huong from Vietnam and Siti Aisyah from Indonesia are among some ten suspects identified by Malaysia as being involved in the killing. A high-level delegation from North Korea – led by the former ambassador to the UN – arrived in Kuala Lumpur on February 28. They said they were seeking the retrieval of the body and the release of Ri Jong Chol, as well as the “development of friendly relationships” between North Korea and Malaysia. 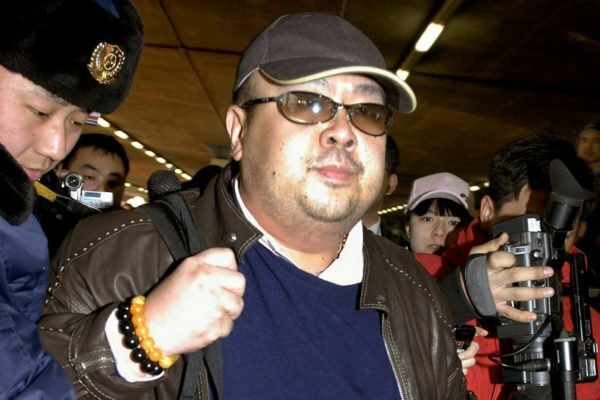 North Korea has not confirmed that the person killed on February 13 at Kuala Lumpur airport was Kim Jong-nam, the half brother of leader Kim Jong-un, saying only he was a North Korean traveling on a diplomatic passport. Kim Jong-nam, 42, was at a check-in desk for a flight to Macau, where he lives, when he was accosted. Kim Jong-un’s brother was smeared with a very high amount of the toxic nerve agent VX and died in pain within 15-20 minutes, Malaysia’s health minister said on February 26.